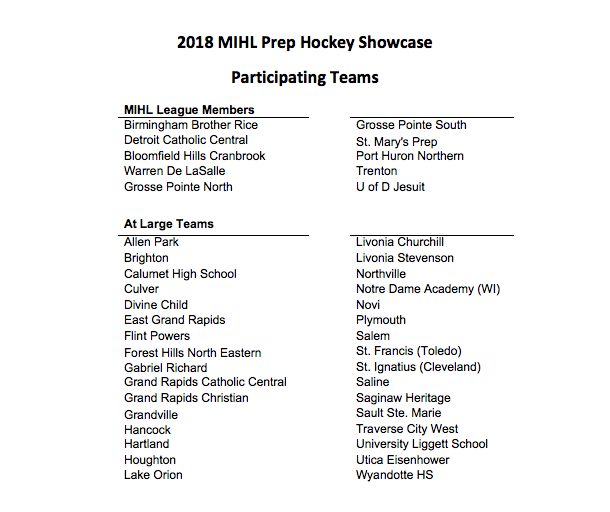 In less than three weeks, some of the top high school hockey programs in Michigan and beyond will be invading Trenton’s Kennedy Ice Arena for the 18th annual MIHL Prep Hockey Showcase. The showcase spans three days – Thursday, Feb. 1 through Saturday, Feb. 3 – and features 42 high school teams from Michigan, Wisconsin and Ohio. The schedule has been announced – you can click this 2018 Showcase Schedule link for the Excel document, or visit this link. 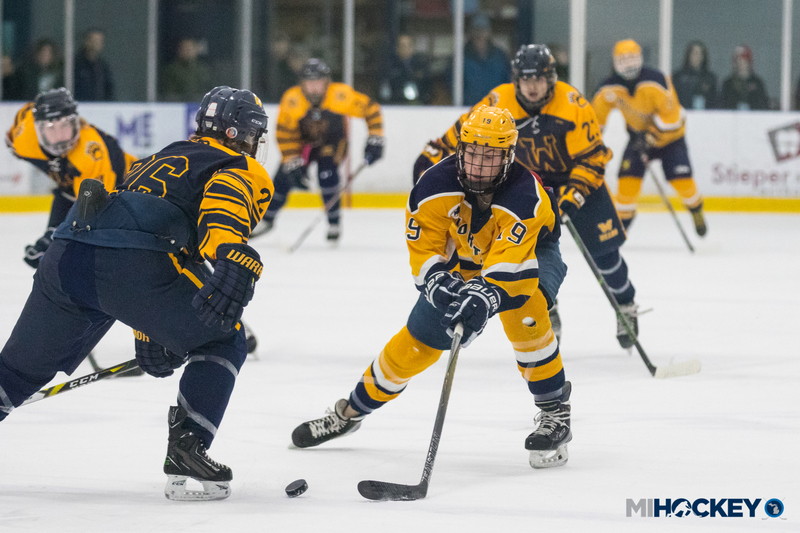 The Michigan Interscholastic Hockey League has announced the 40 teams selected to participate in the 2018 MIHL Prep Hockey Showcase. The prestigious high school showcase will take place Thursday, Feb. 1 through Saturday, Feb. 3 at the Kennedy Ice Arena in Trenton, Mich.
East Grand Rapids and Saline return to the showcase in 2018, as the team line-up changes from year to year. Last year, all three state championship teams played in the showcase, as did all six state finalists and 10 of the 12 semifinalists.